Riverside County Office of Education Calendar of upcoming STEM events. Afternoon meeting focusing on up to date information from CDE and other math related items. Half day meeting to support mathematics leaderships with up to date statewide information and opportunities for networking. Please take a moment to read these great opportunities for your students who need to earn service hours. This is an opportunity for your students to be recognized and shine. 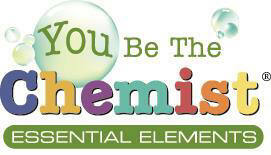 You Be The Chemist Essential Elements is aprofessional development workshop created by theChemical Educational Foundation® (CEF). EssentialElements is designed to assist K–8 educators–our“essential elements” in education–in teachingchemistry concepts through hands-on learning andconnecting those concepts to students’ everyday lives. IASTA has a facebook page. If members would like to comment internally regarding the Science Framework review that would be an appropriate place for remarks. If you have any science news for members of IASTA or the science teaching community-at-large, please send them to info@iasta.org for posting.